Isatis.neo is Geovariances’ brand new generation software in geostatistics. We have developed it with only one objective in mind: to provide our customers with all the geostatistics they are used to find in Isatis in a much smarter software solution. The goal is met: with its innovative and intuitive user interface, Isatis.neo makes geostatistics as accessible as possible while leaving users completely in control of their work. Isatis.neo is a general-purpose and comprehensive geostatistics software solution designed for every industry and everyone dealing with spatialized data. 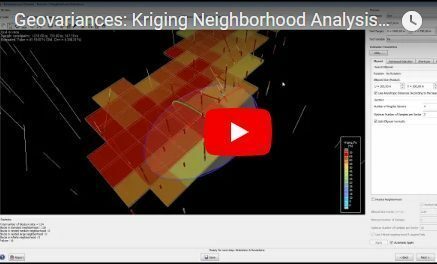 It has all the features you need for thorough data analysis and visualization, quality mapping and modeling and quantified uncertainty analysis. 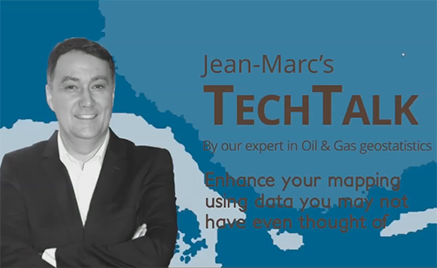 A tailored version of Isatis.neo (Petroleum Edition) is available to best meet the specific requirements of the upstream Oil & Gas industry. This version addresses more specifically reservoir modeling issues. It also offers a powerful and innovative workflow for time-to-depth conversion allowing the most comprehensive analysis of spill-points and reservoir volumes with a large focus on uncertainty analysis: Conversions & Uncertainties Workflow. Geostatistics can appear daunting if you are not familiar with the approach. This is why we have been working to make Isatis.neo straightforward to use so that you only focus on your geostatistical analysis, not on how to use the tool. Your performance is boosted thanks to its intuitive interface, but also by cutting-edge parallelized algorithms and powerful scripting procedures that allow fast and easy model updating. Isatis.neo provides a wide choice of proven and state-of-the-art statistical and geostatistical tools in a fully flexible package letting you design your own process to best address your specific issues. And if you need further analyses, Isatis.neo gives you access to the power of Python functionalities and coding through its Calculator to generate your own variables and functions. Isatis.neo makes you benefit from Geovariances’ technical excellence in geostatistics. 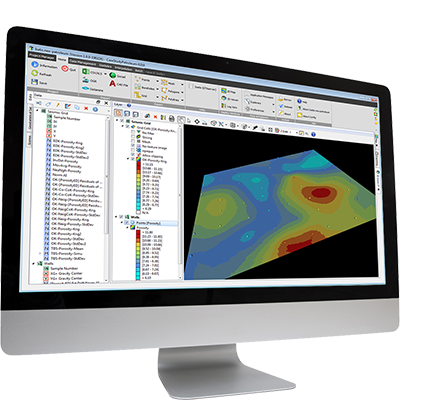 The software derives from robust, tried and tested Isatis software and 30 years of know-how in developing geostatistics-based software solutions in partnership with the French Mining School of Paris. With Isatis.neo, you are certain to hold the keys for data and risk-informed decision making. Our software users have all different skill levels in geostatistics. This is why we wanted Isatis.neo to be partly workflow-driven to give you the best and optimized way to your objectives. We have developed business-oriented pre-configured workflows for that purpose. The first one is available in the Petroleum Edition and is designed to meet geophysicists’ depth conversion issues. 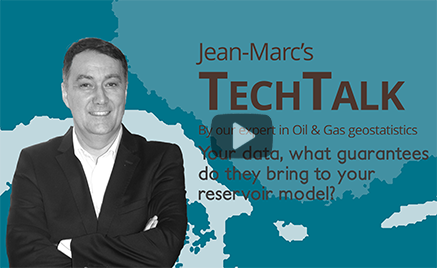 TechTalk | Your data, what guarantees do they bring to your reservoir model? Time to depth conversion of geological surfaces is critical for structural model building. Quantifying the uncertainty attached to the conversion is also of primordial importance for assessing GRV uncertainties. Traditional velocity models used in time to depth conversion could benefit from geostatistical techniques used in data integration. The advantage of using geostatistical methods is that they fit the data in one step and allow quantifying the uncertainty attached to the prediction by mean of the generation of equiprobable realizations. Through Geovariances long-lasting experience in geostatistical depth conversion studies, learn how geostatistics helps you improve the accuracy of your reservoir structural model and assess the uncertainties on surfaces. Through this white paper, discover how you canimprove significantly map reliability and quality by incorporating various sources of information in the interpolation process. This document details the different methods for assimilating various sources of information, taking into account the reliability of each source and how the uncertainty associated with any mapping result can be estimated and reduced.